Mentoring should help employees become more self-confident and be able to juggle a work-life balance. Although mentoring is not a new concept in the workplace, modern partnerships are not necessarily like those of the past. According to HR Magazine, formal mentoring relationships in previous eras would typically last at least a year and informal ones could last a decade. In today’s workforce, these relationships are often shorter and more specialty-oriented than before. Because of this shortened time frame and accelerated pace, lines can blur between mentoring and coaching. Increasingly, mentors are no longer necessarily higher on a company’s organizational chart. In fact, reverse mentoring now exists. In reverse-mentoring situations, newer staff members are teaching older, more experienced co-workers about new technology, as just one example. In one scenario, a millennial employee might teach her baby-boomer supervisor how to effectively use social media and crowdsourcing and she might share insights into new ways of thinking about business. According to an Association for Talent Development survey taken in 2017, 29 percent of organizations have a formal mentoring program and 37 percent have an informal one. Mentoring opportunities are also available through professional organizations, either online or in person. Skilled mentors can help mentees become their best possible selves. This happens when a mentor takes the time to understand the person being mentored, including where the person is in the career path and where she wants to go. 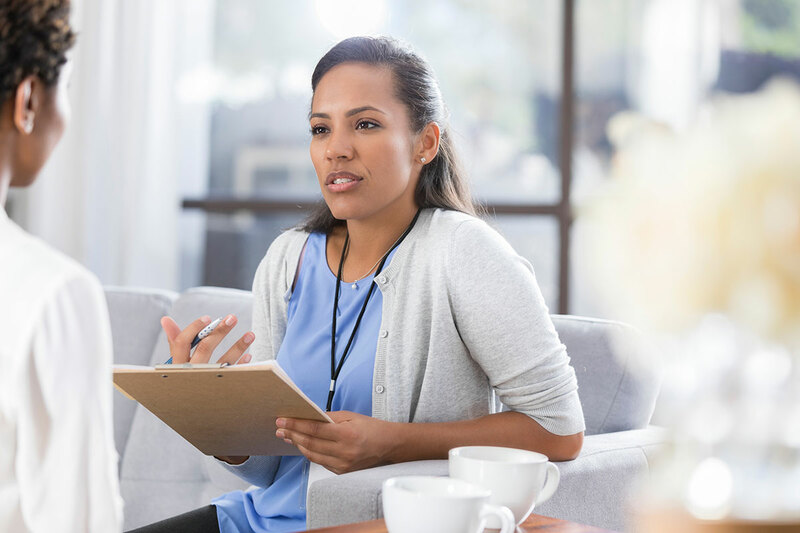 Once this is discerned, each of the mentor’s actions should help the mentee participate in the types of behaviors that allow her to become aligned with her best self. Here are seven keys to creating the best possible mentor/mentee relationship. Does the mentee need to gain specific job-related skills? If so, what are they? Is the mentor guiding someone to an understanding of a veterinary practice’s culture? Perhaps the mentee worked for a private practice that was recently bought by a corporate one, and thus the mentor is serving as a guide and sounding board to the employee during the transition. Whatever the goals are, make sure they are clearly defined and understood by all parties. Synergy and mutual commitment fuel mentoring relationships, so putting the right pairs together is crucial. As I mentioned, mentoring is no longer limited to having an older or more experienced person mentor someone younger or newer. The goal is to have one team member fill in the skill or experience gaps of another employee, so form the pairings for that purpose. Matching people because they’re so much alike that they’re sure to get along is tempting. They probably will get along, but this tactic alone doesn’t fulfill the purpose of mentoring. Exceptions to this rule exist, of course. A millennial might be able to quickly explain Instagram to a baby boomer. If, though, the same millennial is helping the baby boomer transition to a telecommuting role, the mindset evolution can take time and energy. Some companies pair a mentee with a primary mentor and then are open to introducing informal mentors so that the learning experience becomes diversified. Using mentors from different demographics — whether age, gender or something else — can be helpful and even enlightening. Being exposed to different points of view from thoughtful members of the practice can be beneficial. Your practice will create an overall structure for its mentorship program and, yes, participants should follow the structure. But a mentor is not there to enforce rules or lecture. Rather, a quality mentor might spend more time asking questions and listening to answers than speaking, and offering advice rather than rock-solid answers. Mentees should be encouraged to listen closely to a mentor and then carefully evaluate how the message fits into their life and career path. The best mentoring relationships are two-way streets, with the mentee being an active partner. Passive listening will go only so far in helping a mentee develop skills and gain knowledge. Instead, an engaged mentee should share what has been helpful, what gaps exist in her knowledge base and skill set, and so forth. In a sense, being mentored should empower the mentee to pass on knowledge to the next person in the practice who needs assistance. Near the beginning, I shared how modern mentoring resembles coaching, at least more so than in the past. But at its core, mentoring has been and should remain relationship-oriented. The mentee should feel safe and nurtured as she learns professional skills through mentoring. Although this knowledge will likely enhance the mentee’s ability to perform tasks, mentoring is not as task-oriented as coaching. Mentoring should help employees at your practice become more self-confident and be able to juggle a work-life balance. While coaching can be performance-driven, mentoring focuses on developing the employee, both to improve her skills and knowledge today and to prepare her better for the future. Be clear about what you want to achieve in your mentoring program and have a plan in place to measure its effectiveness. Determine who can participate as mentors or mentees. Can someone, for example, volunteer, or will you select her? Decide how formal or informal the program will be, how often you expect partners to meet, and so forth. Explain the program to your team, adding specifics to the employee manual, and strategically pair mentors and mentees. Invest enough resources to allow the program to succeed, be available to mentors if they need guidance, and use the program to develop your team in a way that dovetails with the practice’s goals.